Do Tonewoods Matter for Electric Guitar? 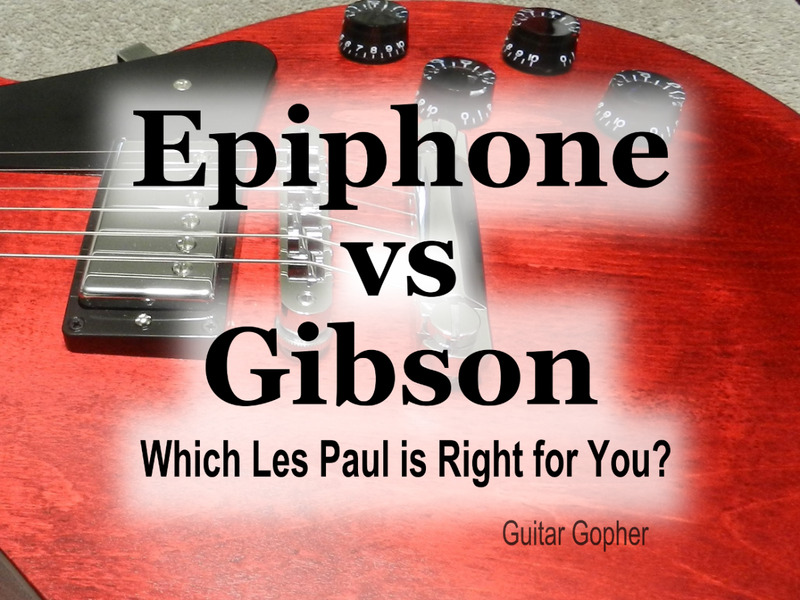 The great electric guitar tonewood debate: Which side are you on? Whenever two guitar nerds get together and compare notes on their favorite instruments the subject of tonewoods is sure to come up. Tonewoods are simply the woods used to build a guitar, and they are carefully chosen to get the sound the manufacturer wants. 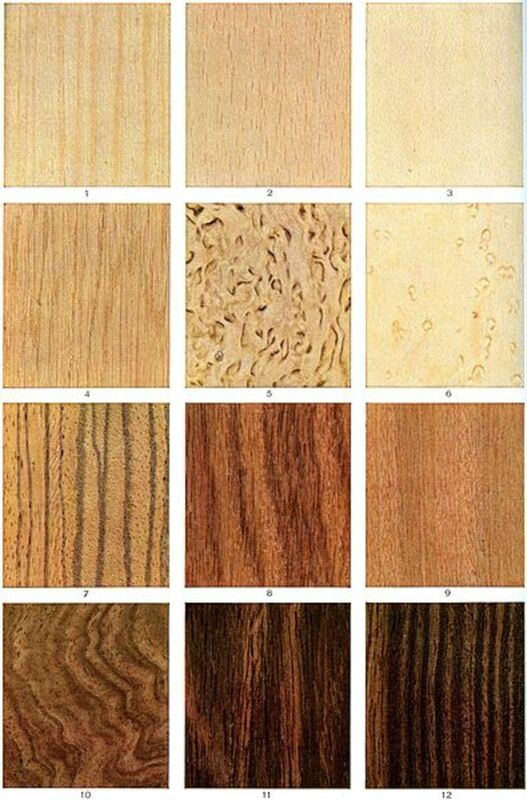 Certain wood species are considered desirable for necks, fingerboards, guitar bodies and tops. Most guitar players have preferences and prejudices when it comes to woods, this writer included. I like mahogany-bodied guitars, and I like basswood. Alder is okay, but only for Strats and Telecasters. I like one-piece maple necks for Strats, and rosewood for everything else. My favorite tonewood combination is the Les Paul-style mahogany body with maple cap, mahogany neck and rosewood fingerboard. Obviously, like many guitar players, I have come to prefer some woods over others based on sound. And so I am always a little stunned when some people tell me tonewoods don’t matter when it comes to electric guitars. They’ll say it’s more about electronics, pickups and everything between the strings and the amp. Wood matters not. My response: Huh? I can clearly tell the difference between the warm resonance of mahogany and the crisp snap of alder. I’m always stunned when people tell me they can’t, and it happens enough that I have to wonder if I’ve been missing something for the past thirty years. Do tonewoods matter for electric guitars? If you believe the guitar companies it certainly seems like they do. Is it all a marketing ploy? Have I been brainwashed, the victim of some kind of tonal propaganda sales pitch? Or is it possible, as it seems to me, that if you are around guitars long enough you can certainly tell the difference in sound? In this article I intend to address these questions with as little bias as possible. I expect to fail. Here we go! While there is apparently room for debate when it comes to the woods used to build electric guitars, the subject of acoustic guitar tonewoods is much less murky. The sound and projection of an acoustic instrument is entirely dependent on its physical construction. Therefore, it is impossible to separate the physical materials used to build it from the sound that results. In other words, when it comes to acoustic guitars wood equals tone. Better wood means better tone. Crummy wood means weak tone. Of course you can also build an acoustic guitar out of something besides wood. We'll get to that later. 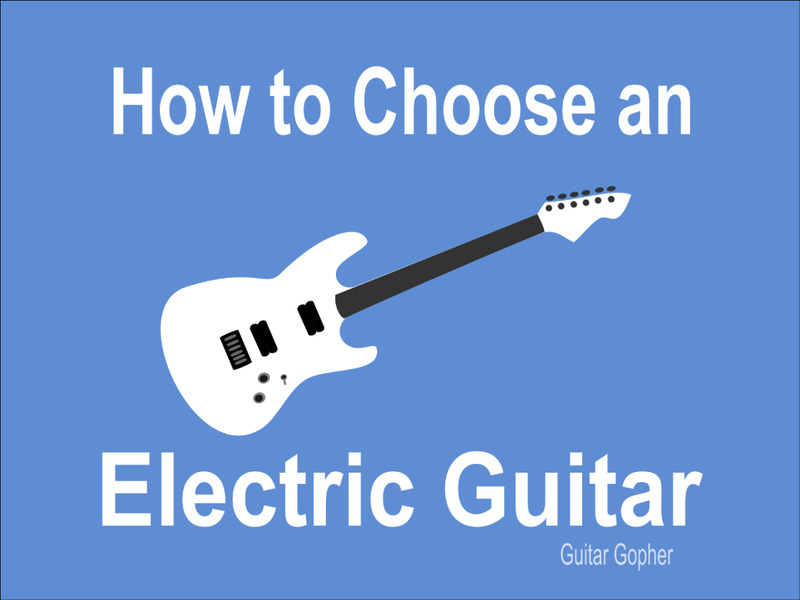 Electric guitars, on the other hand, have all kinds of circuitry and electronics, and they have pickups. Guitar pickups are essentially magnets wrapped in wire. The pickups create a magnetic field, and when the strings vibrate they disrupt that field. This is translated into an electronic signal and sent to the amp. Therefore, some reason, the pickups and electronics, not the woods, are entirely responsible for shaping the sound the guitar. For me there is one problem with that way of thinking. The vibrations captured by the pickups are created by not just the strings, but by the body of the guitar. Just like an acoustic guitar that amplifies string vibrations via the soundboard, the vibrations that turn into the electronic signal from a guitar pickup are created, in part, by the body of the guitar. Therefore, if the body of the guitar impacts the vibration of the strings, and the body of the guitar is made of wood, it makes sense that the wood used to build an electric guitar would matter a great deal. 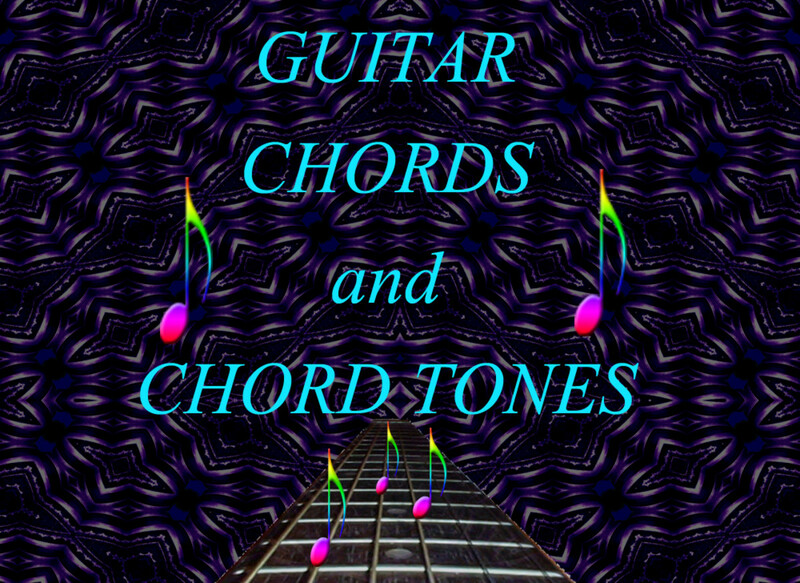 You can tell the difference by laying two different electric guitars on a flat surface, placing your hand on the bodies and strumming across the strings. A mahogany-body guitar will resonate much differently than an alder-body guitar, and both much differently than a basswood-body guitar. You can feel the difference, and that means the strings are going to vibrate differently as well. And I feel like I’d have a solid chance of winning the debate at this point, if it weren’t for that guy who did that experiment. 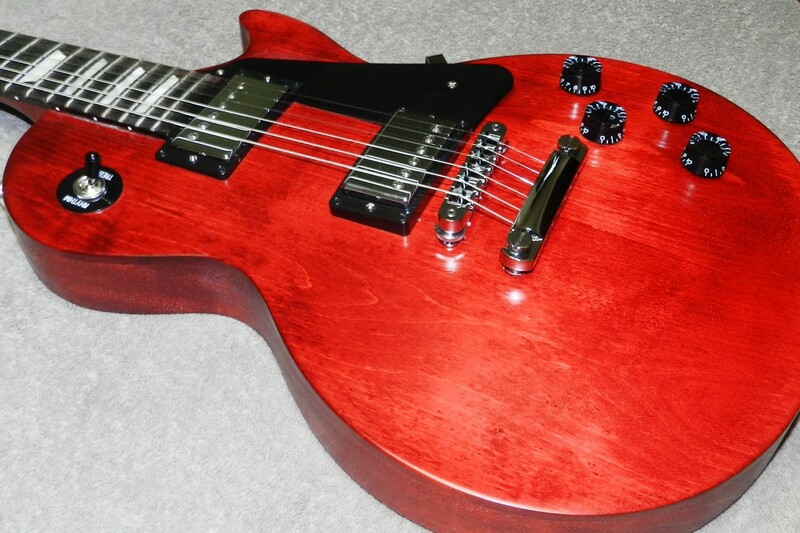 I love the mahogany of my Les Paul. Is it all in my head? Every now and then somebody brings up that guy who did a bunch of measured tests on a bunch of electric guitars and found that there was no difference in sound when it came to body size, shape or wood. To me this borders on crazy talk, so what really went on here? I think that guy they usually mean was a LaTrobe University student who, back in 2012, did indeed conduct experiments with electric guitars to determine if there was any sound difference based on body style and wood. He used seven different guitars, and loaded them each with the exact same pickups and strings. Using some fancy-schmancy academic research equipment he measured the frequencies of the notes produced. The result was that they were all pretty much identical. A quick sweep of YouTube reveals a few more enterprising individuals who have have done similar quasi-scientific experiments, and gotten similar results. To some people this proves without a shadow of a doubt that tonewoods don’t matter a whit when it comes to the sound of the guitar. There can now be no debate! Of course in reality it proves nothing, except that a few guys did some experiments and came up some interesting fodder for guitar message boards. If you are already on the “wood is just a marketing ploy” bandwagon this gives you some serious ammunition! For the rest of us, it is certainly food for thought, and it is hard to argue with science. If you’ve been playing guitar a long time and you believe wood matters a lot, how can you reconcile your thoughts with these findings? My alder Strat rips, but maybe it's because of the wiring, not the wood. For me, here is the problem with anything that whittles the sound of a guitar down to controlled scientific measurements: It removes many of the variables that go into how we hear music, and produce music as guitar players. These experiments, as well as my aforementioned example where I suggested laying different guitars down and strumming across them, don't really represent anything practical when it comes to guitar tone. In other words, that’s not how you play guitar, so it really doesn’t tell you much of anything about how the physical makeup of the guitar affects your sound. 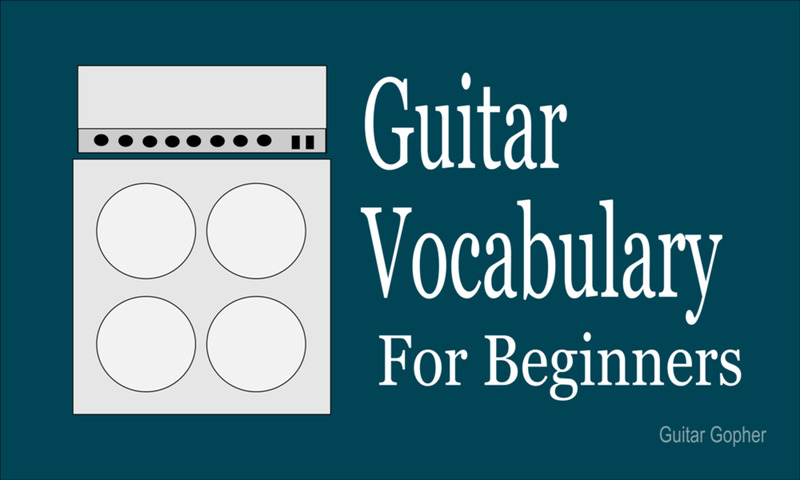 When we play guitar there are so many variables to consider. Our hand strength when we fret a chord. Our dexterity in getting around the fingerboard. How we choke up on the pick. Strumming technique. A million other things. In all of those ways we are physically interacting with the guitar, so of course the physical makeup of the guitar matters. The woods matter. The mass of the bridge matters. The nut matters. The way the neck is attached matters. The way the pickup is attached to guitar body matters. It all matters, and it all has a role in how you play and the sound you get. If the wood and build of a guitar body didn't matter then we'd expect solid-body, semi-hollow and hollow-body guitars to sound very similar. Even if they are loaded with the same pickups, obviously that's not going to be true. How about if you could slap a Gibson PAF humbucker on a Martin D-18 acoustic? If the sound starts and ends with the pickup the Martin should now sound like a Les Paul, right? Of course not! If construction and wood didn't matter then pro guitarists would all buy $100 guitars and drop expensive pickups in them. Needless to say, there is good reason most don't do that. These are things I know (believe?) to be true based on years around guitars. Not just me, but many, many guitar players. So do we abandon these thoughts now that the scientific evidence is to the contrary? I don't know that I can. I just know what my ears and hands tell me. Do maple and rosewood fingerboards sound different? Of course they do! I’ve said a lot of stuff here, and I don't know that I'm any closer to convincing myself or anyone else of anything. I guess for me it basically comes down to this: One thing I’ve learned over thirty years of playing guitar is to trust my ears. In this case not only my ears but my hands as well. To me different tonewoods sound and feel different, and that definitely translates through the amp. I am a firm believer that much of your tone is in your hands. So, really the tonewood thing comes down to one of those “all things being equal” issues. You’re still going to sound like you no matter what guitar you play. Playing a more expensive guitar made from allegedly better stuff isn't going to make you sound better than you really are. But if you play a guitar made from better stuff will you sound like a better version of you? I think so, or at least I think I do. On the other hand, what about those acoustic guitars made out of something that's not wood? I started this article talking about how acoustic instruments are dependent on woods for their sound, and making a comparison to electrics. But Rainsong, for example, is a guitar company that makes their acoustic instruments out of carbon fiber, not wood, and they sound fantastic. So, must guitars be made of wood, or do they just need to be made of something that has good acoustic properties? This concludes my examination of the electric guitar tonewood debate. I suppose I didn’t solve much of anything, but perhaps I did clarify some things in my own mind. As much as I think about it, I don't know how I can get my brain around the idea that woods don't matter in the build of electric guitars. To me they absolutely do. So what about you? Do you think the wood your guitar is made from makes a difference? Do you think it is all a bunch of hype? Did this article change your mind either way? Maybe the best answer is to simply not care that there is a debate at all and just play what you like. Do Tonewoods Matter for Electric Guitars? Yes! Of course they matter! No! It's all a bunch of hype! How much do tonewoods matter for electric guitars compared to pickups, guitar cables, amps and your own hands? Like many guitar players, I think tonewoods play a considerable role in the sound of a guitar. Some people disagree, and they have good reasons. However, I believe a fundamental part of the disagreement comes from trying to compare tonewoods vs. other things that affect a guitar's tone. I think another big part of the argument stems from comparing the sound when playing the guitar in person to the sound in a recording. It's interesting how the same folks who claim amps, pickups, etc. alter a guitar's sound to the point where tonewoods don't matter can't see how much the recording process can alter the sound of a guitar. I believe the number one thing that impacts tone is the player. Many of our guitar heroes sound as good as they do because of them, not the wood their guitar is made from. No tonewood could make these guys sound bad, just like no tonewood could make a bad guitar player sound good. But that doesn't mean the wood doesn't matter. If it didn't, professional guitar players wouldn't be so picky about the guitars they play. 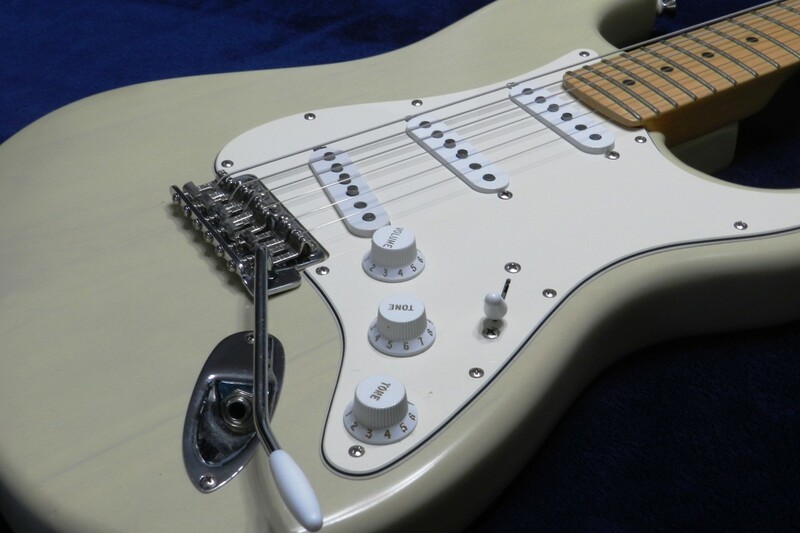 Pickups can change the sound of a guitar, too. Slapping a humbucker in a Telecaster changes the character of the guitar. But, to me, it still sounds like a Telecaster, and that has a lot to do with the wood. Same with amps, cables, picks, etc. Of course, they influence the sound of the guitar, but just because they influence the sound doesn't mean tonewoods do not. To sum it up: Many factors go into the sound of an electric guitar but, all things being equal, tonewoods make a difference. That's my experience, based on 34 years of playing guitar. @Krasimir - That is all true, but the vibration of the strings (which is what the pickup is capturing) is affected by the wood the guitar is made from. It is also affected by the bridge and other factors, but wood is part of the equation. Consider this: the guitar you hear from the amplifier is the signal generated by the pickups. The pickups are magnets with copper coils that generate electicity when the magnetic field "changes". The strings are the main source of this change to the magnetic field that generates the electric signal. Wood has no electromagnetic properties so it doesn't affect the signal and you dont hear it on the amp. @WeCouldBeGryros - I agree it was a good suggestion, and I did say I understand both sides of the debate. I thought I was extremely respectful in my response to to Karl. Any umbrage I took was based on calling my POV irrational, just as any umbrage I take with your comment would be based on the your "weak of mind" remark. The point I was trying to get across is that my POV is not scientific fact and it isn't meant to be. It is based on my opinion, which, in turn, is based on years of experience. I am willing to listen to all sides of this discussion, and someone might even change my mind. You can disagree with me all you want and I welcome it, but I do ask that people are respectful in their comments. You fail to address Karl's point: your opinions are, even if based on years of experience, cannot be used to provide an answer (ie an objective truth that can be reproduced consistently and experienced by all). Opinions, however strong, cannot be substituted for facts. Karl's suggestion was actually quite good, in that it would allow your experience to be taken into account, transformed from a subjective "feeling" into an objective "finding". Taking umbrage at a well meaning comment that was presented in the spirit of constructive criticism is the refuge of the weak of mind. @Karl: Believe it or not, I understand both sides of this debate. Some people want a solid answer based on facts learned from testing. While I find the results of those kinds of experiments intriguing, I don't think they tell the whole story. My opinions (call them beliefs if you wish) are based on years of playing guitar. Tonewoods, based on my experience, matter. That is far different that your lottery and sun/earth examples. If you disagree that's fine, and I love to hear different perspectives, but there is no need to insult the opinions of people who do not agree with you. When you say "to me, different tonewoods sound (and feel) different...", you're stating a belief. For example, "to me", I believe that the reason I didn't win the lottery was because Jesus willed it. Now, ask me to prove it and that's an entirely different thing. If "to you" you believe you can hear tonewood, then why not prove it on your own terms? Have someone set up a simple blind test, with enough samples that successful guesswork isn't an option, and prove it. THAT would be something meaningful. Until then, saying "to me, I believe that tonewood matters", all you're doing is proffering an irrational belief on a question with an objective answer. "To me, the earth is bigger than the sun". Obviously the wood doesn't matter, the sound comes only from the pickups picking up the interferences from the strings; it's wishful thinking and pretending to have a 'great ear' that makes people keep saying they hear something on electrics, and because every guitar sounds different because electric parts and setups can be as unique as woods. Here's the thing on electrics,you have a METAL string vibrating over a METAL magnetic pickup be fretted on a METAL fret. The last thing you should be worried about is the wood your guitar is made of. There is so many more important thing like getting a quality amp. Ok after reading this whole thing and all the comments....all the "proof" I sorry I still believe in time wood. For those of you that would like to quickly add that I'm ignorant to the $$ making machine let me point out something first. In this TEST hat was conducted and I'm assuming ALL following tests. They used THE SAME pic-up. Also....he scale length of a guitar has more to do with the ability to bend the strings / number of frets than it does tone. Now let me say that TONE....well that is a subjective matter; another words I could play led-zeppelin on a fender and THINK I sound like Jimmie Page, but my audience might disagree... (I wish I sounded like Jimmy Page) I think that tone wood is actually more about coloring the sound of the pickups. I'm sorry but in the test there measuring a note.....well if I stum an A on a guitar tuned to 440 it's going to always be an A unless I'm out of tune. That's what the science is seeing. But if you take the same player....say Jimmi Hendrix, and he plays Red house on a strat....then he plays Red house on a Gibson....well I dare anyone to tell me they sound the same.....now that's the same guy....the same set-up..... same song.... DIFFERENT guitar. In fact you can listen to him play Red House in concert at Woodstock.....then Red House at the isle of white....and that is with 2 different strats....Same years too if I'm not mistaken.....and by golly it is very easy to tell between the two. If there are still any doubters I am taking in '59 les Paul's and trading them for a version of les Paul's "the log". The difference in sound between a Gibson and a Fender say nothing about tonewood. Everybody can hear they sounds different. 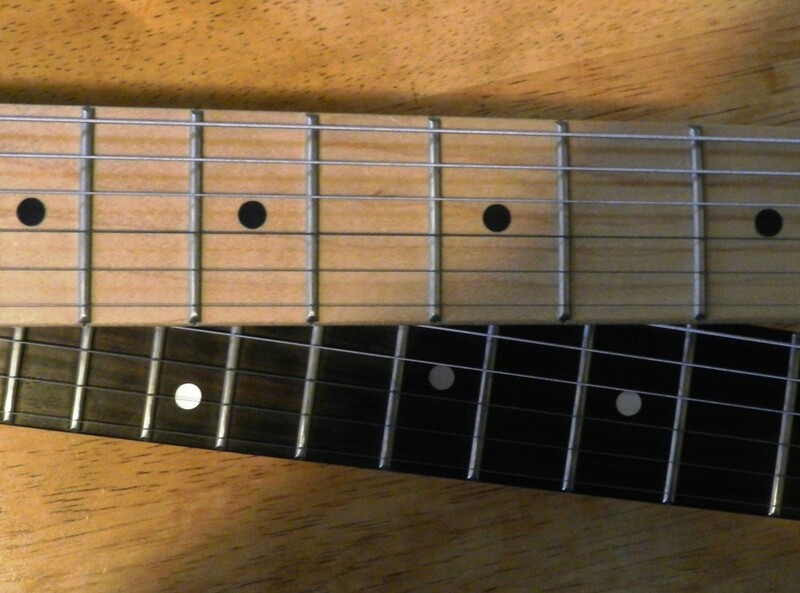 They have different scales length, longer scale equal brighter tone, Fender has longer scale. Different mics, ect..
For acoustics tonewood do matter, but not for electrics. It actually doesn't matter one iota. You can post an article asking people to tell you the last time they were visited by a guardian angel, the last time they saw aliens or the last time they had a psychic vision. You wouldn't want for people willing to tell you stories about what they experienced. It's all still bunk. People will tell you stories of electric tonewood, they will aggressively provide specious theories of how it must work but in the end, they can never identify it in a blind test, per their own terms, using an electric guitar through an amplifier. Turns out electric tonewood is 'obvious' so long as we remain safely in the realm of theory and persona anecdote. As soon as you go to test it under credible conditions, it doesn't manifest itself. The people who insisted it could be heard, who say stuff like "anyone who understands basic physics knows..." to rationalize it, those same people are truly baffled by their inability to distinguish a maple fretboard from a rosewood one from an ebony one, or an basswood body from an alder one, or a (whatever). Electric tonewood is a belief. It's not a actual phenomenon. Ever want to prove it? 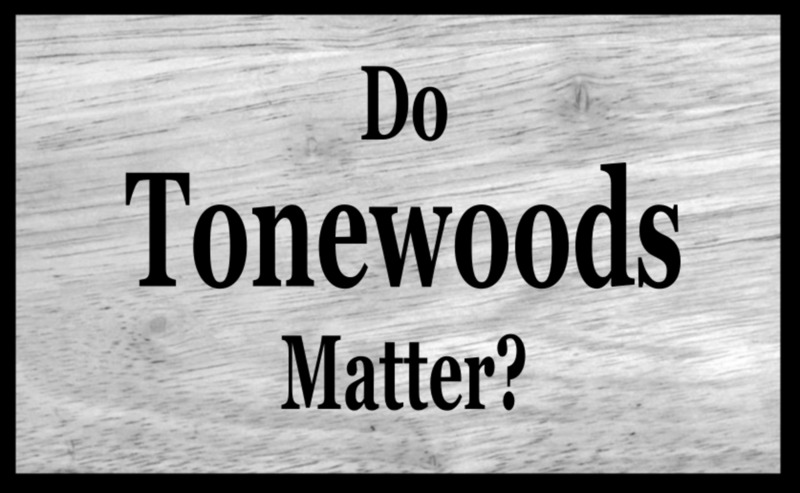 Ask a tonewood believer to furnish evidence of where tonewood can be heard. The more strident believers will attempt to do so. Then, provide them blind clips of different tonewoods and note their inability to accurately distinguish one from the other. In short, electric tonewood is a long-standing, irrational belief. Like all belief, believers get very defensive when you challenge their beliefs (cognitive dissonance and what not) but at no point will they come storming in with evidence to prove their claims. They'll just tell stories and make excuses. Thanks, jimmar! I tend to agree re: the costs of the woods. More expensive wood may just be prettier and not always better sounding. I think it's more about the quality and integrity of the wood. I've also played a few guitars recently that were made from alternative and lesser-known tonewoods, and they were pretty decent. Having built 3 acoustic guitars with different tone woods I'd say they do matter.....but i think I'm more of a tone wood heretic than traditionalist. I think high priced woods don't necessarily mean high priced sound. There are other factors especially with acoustic guitars, not to mention player skill. I have 5 acoustic guitars and 3 electric, they all sound different. The better you play, the bigger the difference. Don't wanna be rude but some people that say tonewood isn't exist, doesn't play their instruments right. One could also say the anti-tonewoods people are a sort of marketing ploy for high end pickups and assorted electronics manufacturers. The people who think a mahogany acoustic guitar doesn't sound different from a rosewood one - there's no reasoning with those persons. I think some of us have different hearing skills than others of us. Because I can hear the diff between Fender and Gibson every single time. And the diff between mahogany bodies and rosewood bodies every time as well. Maybe there is a hearing impairment akin to color blindness with vision? That's the best analogy I can come up with. The type of wood matters in both acoustic and electric guitars. After playing the guitar for 51 years I can tell the difference in wood if I really listen.